Calling on its experience cooling a gold mine in South Africa, the Carrier Corp. installed two mechanical, high-capacity refrigerating units in the Magma Mine. PHOTOS COURTESY OF CARRIER CORP. Inventor of air conditioning designed Magma units. The Magma Mine in Superior was the first underground mine in North America to be air- conditioned, in 1937. Before air conditioning, mines were cooled using several different methods, including natural ventilation, furnaces (used to create a draft that ventilated the mine), waterfall/stream jets (which sprayed water in the path of air currents) and mechanical ventilators. At the 2,000-foot level in the Magma Mine, temperatures could reach more than 109 degrees Fahrenheit, so air conditioning was imperative to ensure productive mining. For every 100 feet in depth past the 2,000-foot level, the temperature increased 1 1/2 degrees Fahrenheit. By 1935, as a result of completing a cross-cut at the 4,000-foot level, temperatures reached 140 degrees, so excavating was stopped due to health and safety factors. Magma's standard practice was to open a level and let it stand for several years, cooled by ventilating fans. The costliness of this method led Magma to re-evaluate that procedure and adopt a new method. 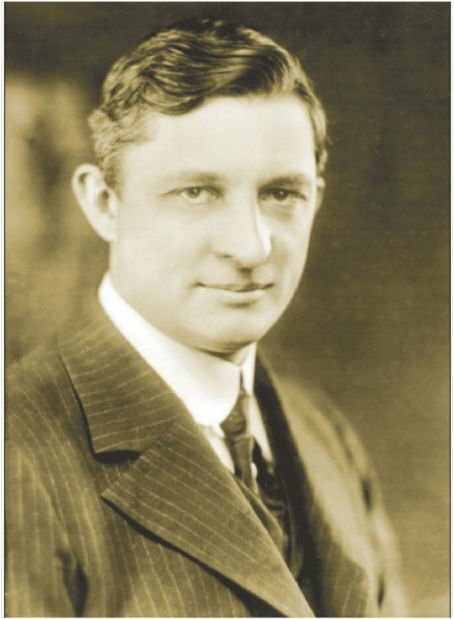 Willis H. Carrier, chairman of the Carrier Corp. and inventor of air conditioning in July 1902, was called in to consult with the Magma Copper Mines Co. to resolve the cooling problem. Carrier had installed air conditioning at the Robinson Deep gold mine in Johannesburg, South Africa. It was the world's deepest operating mine, with an inclined three-mile shaft to a vertical depth of 8,380 feet and temperatures of more than 130 degrees. 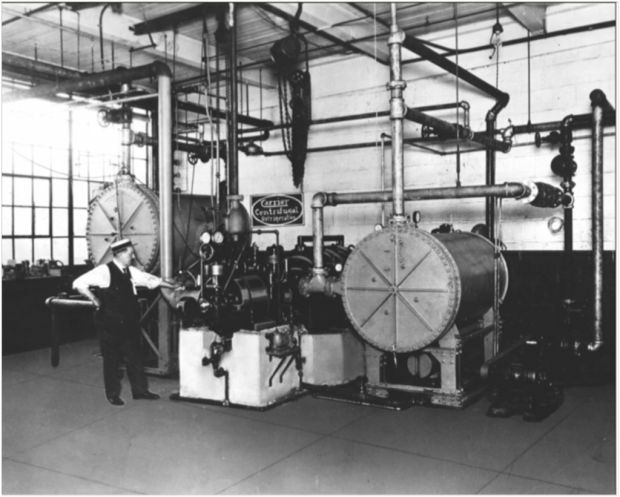 Since the 1920s, Carrier had experimented with centrifugal refrigerating machines to cool large areas. He assessed the Magma Mine, and the company decided to install refrigeration at the lowest working level of 3,600 feet. Carrier not only designed the equipment for the Magma Mine, he also supervised its installation. The company installed two mechanical, high-capacity refrigerating units and used 200 gallons per minute of condenser water from the mine's underground drainage. There were advantages to having two smaller units rather than a single large unit: One could be operational while the other was shut down for maintenance, and it was easier to lower two smaller units through the narrow shaft compartments, which measured 40 by 60 inches. The benefits of air conditioning became apparent after seven months of operation - the temperature of the work area below the 3,400-foot level dropped to an average 71 degrees. Miners were able to work their entire shifts, and eventually the area was successfully mined out. By the summer of 1941, six more units were installed, with a total capacity of 840 tons, to further improve efficiency and production. By the late 1940s, a regenerative cooling tower was installed, so mine water was no longer needed for condensing. The two original units were abandoned in the mine, too costly to bring to the surface. The Magma Mine at Superior has since been designated a National Historic Mechanical Engineering Landmark by the American Society of Mechanical Engineers and the Smithsonian Institution. Sources: "Cooling the Lower Regions: The First Air Conditioning of the Magma Copper Company Mine, Superior, Arizona 1937" (Walter A. Biddle); History of Mining in Arizona, Vol. II (Michael J. Canty and Michael N. Greeley, eds. ); "Mining Equipment Management: Ventilating Equipment" (Frank H. Kneeland); "Going for Gold: The History of Newmont Mining Corporation" (Jack H. Morris).